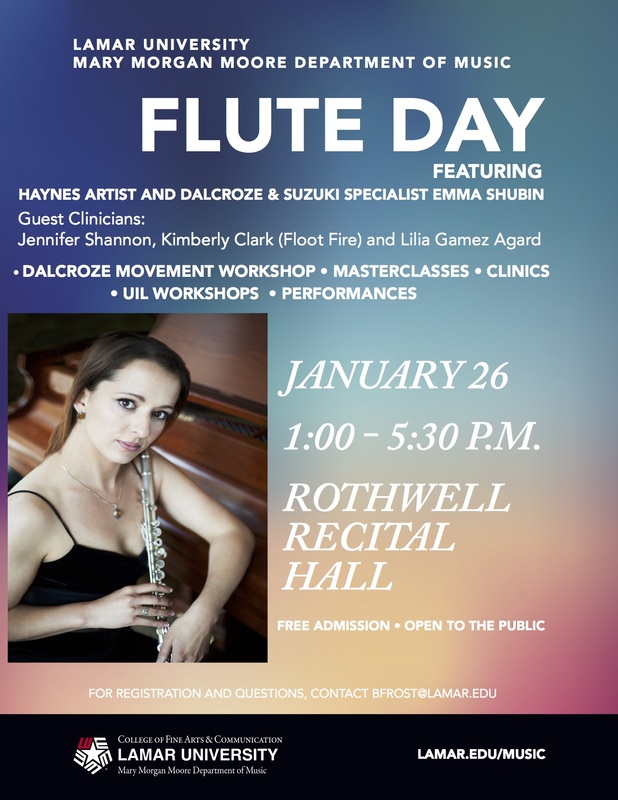 Lamar University welcomes Haynes Guest Artist and Dalcroze & Suzuki specialist Emma Shubin and guest clinicians Jennifer Shannon, Kimberly Walter Clark of Floot Fire, and Lilia Gamez Agard to the Lamar University Flute Day on Saturday, January 26th! The day will include a fun and interactive movement workshop, a UIL preparatory clinic, performances, masterclasses, and a panel discussion on how to deal with performance nerves. The event is free and open to students of all ages!